The Starbucks at 1023 W. Addison St. closed as businesses near Clark and Addison prepare for the Addison Park on Clark project. WRIGLEYVILLE — Starbucks has closed its doors after 21 years across from Wrigley Field. 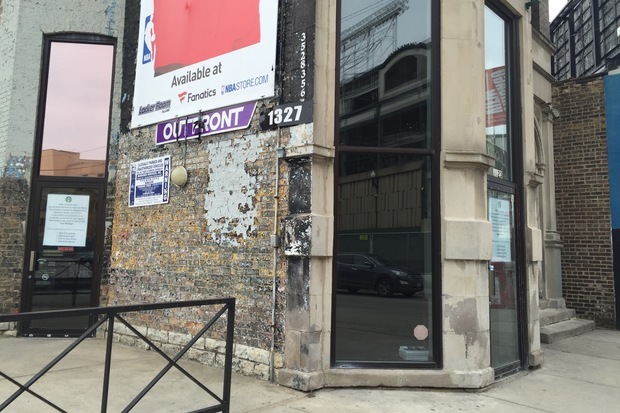 The restaurant was closed and signage was removed as of Sunday, with a note posted on the door of 1023 W. Addison St. inviting customers to visit four nearby locations. "After 21 years here, we are sorry we have to close our doors. This location is slated for development," the sign read. A Starbucks spokesperson said the Wrigleyville shop closed at the end of January. However, Starbucks said it will open a location "very close to here" in the next month. The Seattle-based coffee company declined Monday to say where the new location will be. Starbucks is one of a slew of businesses that will close to make way for Addison Park on Clark, a $140 million development that will span Addison Street from Sheffield to Clark, and Clark Street south of the intersection to Red Ivy, 3525 N. Clark St.
Sports World, 3555 N. Clark St., and Luis Auto Repair, 1031 W. Addison St., will remain. Goose Island closed its Wrigleyville brewpub in late 2015 and just last week sold its original brewpub on Clybourn Avenue to Anheuser-Busch. The well-known iO Theater moved to Old Town in 2014, when Addison Park plans originally got approval from city council. 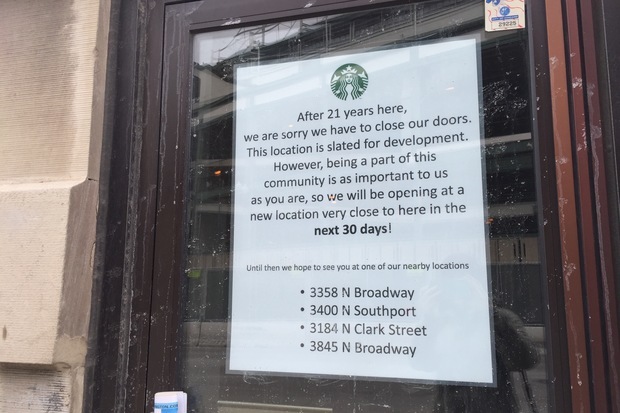 A number of Starbucks spots in Lakeview have turned over in the past six months. Its Teavana tea bar closed on the Southport Corridor in September, and the Starbucks-owned tea chain will open in the spring at Clark and Diversey in the former Hanig's Slipper Box. On Lakeview's north end, the Starbucks at Broadway and Sheridan will shift into a temporary location at 733 W. Sheridan Road this spring, when a mixed-use development begins construction. The Starbucks will return to its corner spot, 3845 N. Broadway, once the new seven-story building is complete.